 You can save big with PlumbersStock on hard-to-find schedule 40 pipe fittings. 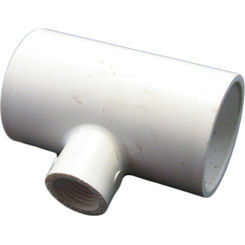 If you are working with PVC pipe, then you need for most applications, you will use schedule 40 as your PVC fitting. PVC (Polyvinyl Chloride) is very common now in new construction homes due to its flexibility and ease of use (lightweight). 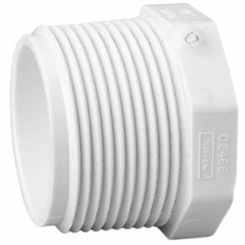 This type of plastic piping has a ton of uses when it comes to plumbing applications, but it has also been used as a way to insulate and protect wiring from the surrounding elements. Schedule 40 also makes for great sprinkler fittings. Whether you are a contractor or a do-it-yourselfer, schedule 40 PVC fittings (B&K Mueller, NACO, Orbit) are a great option for completing your lawn and garden projects. It is low cost, lightweight, and easy to maneuver into place. What Is a Schedule 40 Fitting? 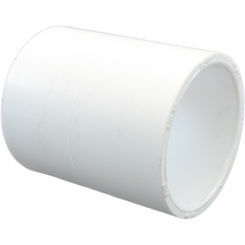 The use of the word “Schedule” has to do with the thickness of the wall of the pipe. A higher number in the schedule rating indicates a thicker wall. Schedule 40 is made for projects (applications) where the water temperature does not exceed 140 degrees Fahrenheit. 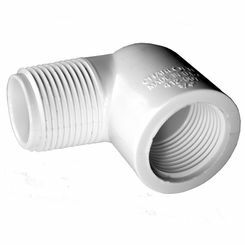 Schedule 40 PVC fittings can be used for most applications within the home, but only those that do not require a pipe or fitting rated for high pressure. NOTE: You should never substitute a pipe or fitting that does not meet the pressure rating of the application. If the pipe is too weak for the application, it can break and explode causing damage to both possessions and sometimes people. It is important to be familiar with your area's building codes, and understand what types of products are needed before you start your project. 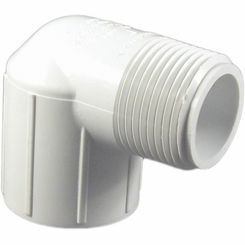 Some fittings contain threading, either male or female depending on what the application requires. 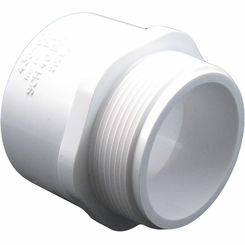 A “Male” thread is on the outside of the fitting and is inserted into another fitting. 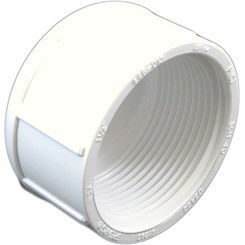 A “Female” thread is on the inside of a fitting, and it screws onto either a pipe or another such 40 PVC fitting. 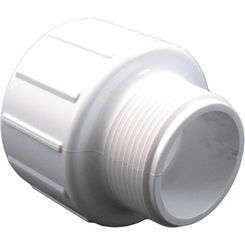 A Tee Fitting allows you to split your water line into two directions. These fittings have the shape of a “T” hence their name. A Cross Fitting is very similar to a tee but allows you to split the line into three. This allows you to disperse the water in to different locations without having to start another set of piping. When you need to end a pipe that is not being used, a cap fitting is used. 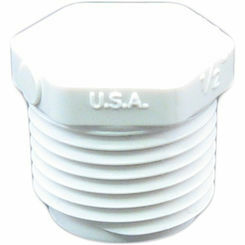 These fittings easily fit onto your pipe and are available in both a slip cap and threaded cap. 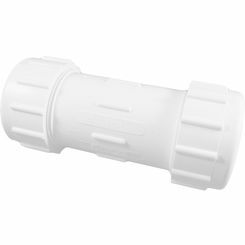 The Slip Cap simply slides on to the PVC Pipe, whereas the threaded cap screws onto the end in order to provide an even securer fit. 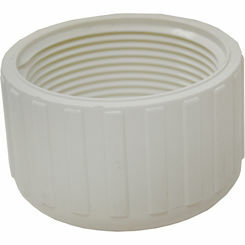 Slip Bushings and Threaded Plugs help to continue a pipe and add extra length to the water system when needed. 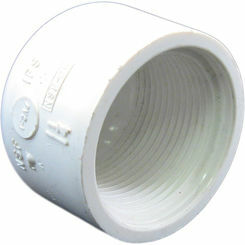 A slip busing slides into a pipe or fitting and allows for a threaded pipe or fitting to be inserted. 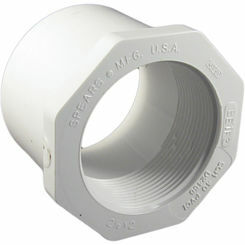 A threaded plug allows you to attach another pipe or fitting by screwing it into another pipe or fitting. 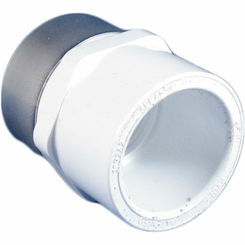 A Coupler Fitting lets you connect two pipes together. 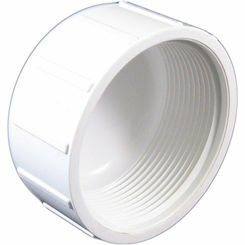 They can come in either threaded or slip fittings. 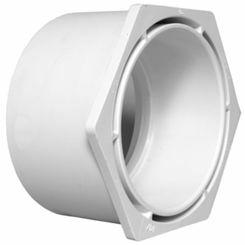 An Adapter Fitting allows you to go from a slip end to a threaded one and vice versa. 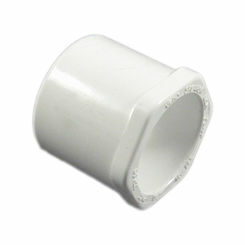 Gasketed Repair Coupling Fittings have a piece of rubber on each side of the PVC fitting, which allows for added security when connecting two pipes. When a pipe is inserted into the gasket, the rubber piece helps by “grabbing” the pipe, adding some extra strength to the joint. If you need to change the direction of the piping, an Elbow Fitting can come in handy. Elbows usually come in either 45 or 90-degree angles. The fusion (gluing) process is quite easy. It is a two-step process, which involves both a PVC primer and solvent cement. The PVC primer is applied first, and a chemical reaction starts. 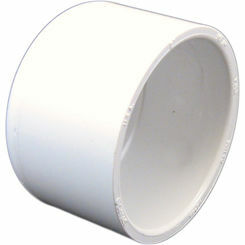 This primer takes off, or “eats away” the glaze texture from the pipe or fitting. Then the solvent cement is applied, which fuses the joint together. There are two important things to note in order to make your joints leak proof. 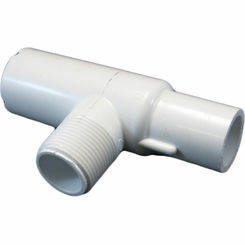 Both the primer and the cement need to be applied to both pieces of PVC (the pipe and the fitting). 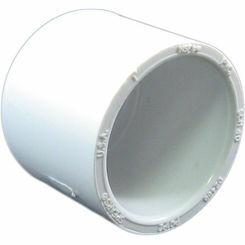 If you do not use a PVC primer first, over time, the joint will crack and break. This may result in issues such as flooding and water damage. 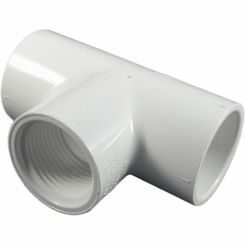 Whether you are a Contractor or a Do-it-yourselfer, you can get all of your Schedule 40 PVC fittings here at PlumbersStock.com. With our professional staff and wholesale prices, you have come to the right place. Please feel free to contact our customer service representatives with any questions that you have. Save on everything you need for your project, including PVC glue.